Tornadoes, floods, and other natural disasters that make their way through Fort Worth can leave your property a mess. What do you need to know about storm cleanup? It isn’t as easy as everyday landscaping. 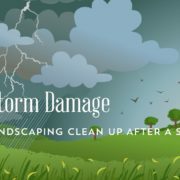 Follow these special tips when you’re attempting to clean up after a storm. The top firms for rental property management, Fort Worth, TX, recommend taking a moment to assess the damage. You may need to take pictures for your home insurance if you plan on submitting a claim and take inventory of the things that were broken; this will also allow you to determine potential hazards you may encounter during clean up. Storms often cause tree limbs to break, fall on roofs, or get stuck in the tree precariously. Use caution when clearing away these limbs, particularly if you are using a saw, to avoid additional liability in rental property management, Fort Worth, TX. The same goes for things like bushes with thorns or anything stuck in a way where it might fall when moved. Your yard drainage system may have been affected by the storm, particularly if there was heavy flooding. Replace any mulch that was washed away so your yard can drain properly when the next storm comes. In Fort Worth, particularly in the summer, standing water can be dangerous. It is exactly the right place for mosquitoes who carry diseases like ZIKA and West Nile Virus to lay eggs. It needs to be taken care of as soon as possible, but make sure you handle it properly. Standing water can contain deadly bacteria and sewage. Use rubber gloves and do not expose open cuts or sores to the water. Always wash your hands after handling standing water. A bad storm can leave any property owner in a bind. With clean up to your own home if you live nearby, plus clean up on your rental you could be dealing with the storm aftermath for weeks if not longer. Leave the hassle of managing your rental property to professionals. A rental property management company will get the job done efficiently so you and your tenants’ lives will be back to normal in no time. For a free rental consultation call Specialized Property Management Fort Worth today! Being a landlord is about more than putting a “For Rent” sign in your yard and collecting rent checks. Owning rental property is a full-time job and not treating it that way can put your investment at risk. Making sure your rental home and your tenants are safe and happy should be a priority. This list of “Landlord Don’ts” are just a few of the things to remember if you want to be a proactive landlord. Don’t forget about housing laws. Breaking a housing law can land you in serious legal trouble. Don’t put off maintenance. Keep your home and tenants happy and safe. Don’t get emotional about your property. Your rental property is a business; you should treat it exactly like one. Don’t try to self-manage. With professional rental property management, Fort Worth TX landlords avoid costly mistakes and get a better return on their investment. Don’t be disrespectful to your tenants. Keep open and respectful communication to reduce turnover. Don’t ignore housing regulations. Stay up to date with all the regulations to avoid costly fines. Don’t forget to set aside money each month for repairs. Every property needs regular repairs, make sure you budget accordingly. Many first time landlords don’t realize the complexities of managing a rental property. This list of don’ts is only the beginning of things you must remember if you want to make a good return on your investment. Managing rental property is a full-time job even when things are going smoothly. The professionals at Specialized Property Management Fort Worth have the experience you can count on to make your investment a success, so you don’t have to worry about anything. To learn more about our services and schedule a consultation give Specialized Property Management Fort Worth a call today. Picking new flooring for your rental home isn’t easy. You need something durable and easy to clean, but with a price point that won’t break your budget. And don’t forget it has to look great so tenants will be more likely to rent your home! Here are some tips from the rental property management Fort Worth trusts for picking new rental home flooring. Carpet – Carpet is inexpensive; however, you will find yourself replacing carpet more often than other flooring options. In addition, you will need to make sure it is regularly, professionally cleaned. Carpet is a good option for places like bedrooms, but avoid high traffic areas if possible. Tile – Tile is a popular choice and recommended by many individuals in rental property management. Fort Worth landlords like tile because it is low maintenance and durable. Regrouting and sealing are needed periodically, and if a tile breaks you will need to replace it. Otherwise, tile can last a very long time! Vinyl – Vinyl is one of the least expensive flooring materials. It is easy to install and maintain, as well as being durable, which your Fort Worth rental property management knows is important. However, some tenants are turned off by the look of vinyl flooring. If the floor is damaged, you will need to replace the whole surface instead of just a portion (like tile). Wood – Wood flooring is beautiful and a desirable upgrade for most tenants. However, it can expand and contract with the seasons, so professional installation is a must. Refinishing the floor will need to be done periodically, and it is not the most durable choice. It tends to be expensive and harder to maintain, but if it increases your home’s value significantly it can be a good choice! 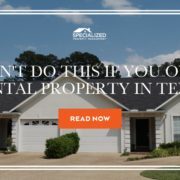 For Rental Property Management Fort Worth Landlords Trust, Call Specialized! 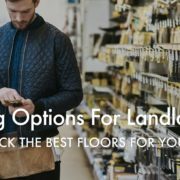 The Fort Worth rental property management experts at Specialized Property Management can help you decide what flooring is right for your rental home, and your budget. We have the experienced professionals and proven processes it takes to get you a better return on your investment. Give Specialized a call today to learn more about all our services! With winter weather on the horizon you need to make sure the furnace in your rental home is in good working order. A properly cared for furnace will not only make your rental home comfortable, it will reduce your heating bill and lower your risk of a house fire. According to a report from the National Fire Protection Association, the failure to clean your home’s heating unit is the top contributing factor for house fires. (Source). For the sake of your tenants and your investment, it is worth it to spend a small amount of time cleaning and maintaining your rental home’s furnace. Clean or replace your furnace filters at least once a month during the winter. This will not only help your furnace run efficiently and extend its life, it will lower your heating bill. When you transition from air conditioning to heat, be sure to reset the furnace dampers. Oil the bearings around the furnace blower shaft and motor. Check around the unit for any corrosion, worn parts, or fraying belts. If any parts need replacement alert your rental property management. Fort Worth rental home furnace parts should be replaced by professionals. For maximum efficiency and airflow be sure all vents are uncovered and seal any leaky air ducts. Most furnace maintenance requires simply checking and cleaning around the unit, but occasionally you will need to hire a professional. 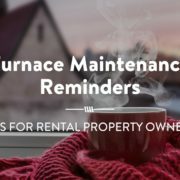 If your furnace is experiencing chronic issues don’t hesitate to call your Fort Worth rental property management for help finding the right person for the job. The professional experienced property managers at Specialized are here to help you any time of day or night. An efficient home can be achieved with regular inspections and maintenance. Call Specialized to hear about all our services! Some landlords get into the investment property business because they see friends or neighbors making money. Others start because they couldn’t sell their house when they needed to move. The fact is, whatever way you started, the point is to make money from your business. Paying too much for necessary items such as regular maintenance, or unnecessary luxuries can hurt your bottom line. Unfortunately many landlords put hiring professional rental property management Fort Worth experts in the “unnecessary luxuries” category and their investment is put in jeopardy because of it. Think about your professional qualifications. Do you have years of experience in property management? Do you understand the property management cycle and complexities of the business? Do you have the certificates and qualifications some states require of property managers? The professionals at Specialized have all of these qualifications, with references and raving reviews to back us up (not to mention nationwide clientele). We can help protect your investment from the common pitfalls and mistakes that many landlords make. Where Should Your Money Go? Managing rental property yourself will cost you time, and time is money. You will need take time away from another job to deal with emergency maintenance calls, needy tenants, or simply keeping up with all the law and codes so you aren’t stuck with a costly violation. When hiring rental property management, Fort Worth landlords need to factor in all the time that is saved by hiring experienced professionals. Fort Worth rental property management will save you money by avoiding costly mistakes and getting you a better return on your investment. Specialized has been in the business for almost 30 years so you can trust our experienced professionals and proven processes. Call us today to put us to work for you! Not all rental homes are created equal. Some are much easier to rent out than others, but how do you choose the right one? Which home will have the shortest vacancy time and bring in a wide variety of eligible applicants? Your rental property management Fort Worth office will have the expertise you need to buy in that specific market, but in the meantime here are a few general ways to pick out the best rental property. Location, location, location! Where is your property located? Are there good schools, easy access to public transportation, and excellent local amenities? Would YOU want to live there? Safety and amenities are big issues for potential renters. Municipal regulations make a difference! Managing a property in an area that has heavy regulations can create a significant burden and may not be worth the cost. Check the local regulations before you buy so you know what you are getting into. HOA rules and fees can be surprising! Don’t be caught off guard by HOA regulations. Some associations even require input on your tenant selection, which could create a delay in renting out your home. Know the rules before you commit to an investment property. Local rental markets vary! Look for a neighborhood with low vacancy rates, high rent prices, and appreciating home values. Your Specialized Fort Worth rental property management team can help you pull all these statistics. Buy an attractive home! Stay away from weird layouts, busy streets, and older or smaller homes. Long term, single-family rental homes are easier to rent out if they have 3 or more bedrooms, are over 1000 sq. ft., and have fenced-in yards. Maintenance will be easier and cheaper if the home is less than 15 years old. When you are ready to purchase an investment property make sure you consult the experts in property selection. With almost 30 years of experience Specialized has what it takes to make your investment a success. Call us today to learn about all the services we offer!